The growth of Information Technology has led to proliferation of e-businesses due to its cost effectiveness, accessibility, convenience and vast user base. The global nature of internet has provided immense visibility to start up enterprises and medium size businesses on the internet to efficaciously showcase its products and services . The touchscreen age today knows very well the importance of software, multimedia, trademarks, artwork and icons. Mobile phones have become smartphones and computers are now tablets, diminishing the utility differences in the two gadgets as a precursor to converging technologies. While the digital age has its multiple advantages, the flipside is that the ease of availability of information online and ease of duplicating it alongwith anonymity pose a continuous threat to the protection of Intellectual property rights including copyrights on the internet. Intellectual property infringements in cyberspace may comprise of any unauthorised use or copying of trademarks, service marks protected by (Trademark Act, 1999), or original music , films, art work, software ,multimedia or literary matter ( protected by the Copyright Act, 1957). The unique matrix of the cyberspace has produced different categories of infringements including Deep linking, Framing, piracy of music, software, video, other Digital Copyrights infringements.There are international bodies such as WIPO that have made important initiatives to bring harmonization in copyright regimes across various jurisdictions.One important treaty is the WIPO copyright treaty which entered force on 6th march 2002. Although India is not a signatory to the Treaty ,India is a party to the Berne Convention that protects copyrights in various works across many countries that are its member signatories. Also,WTO initiatives led to creation of the TRIPS Agreement , another instrument that has made several strides in protection of copyrights apart from other forms of intellectual property rights . India is a signatory of the TRIPS Agreement. According to Section 14 of the Copyright Act, 1957 an author of a work has the sole and exclusive right to enjoy and exploit several rights conferred by the Act for literary , dramatic, musical or artistic work, cinematographic film and sound recording. Rights mentioned under Section 14 include the right to reproduce the work, to issue its copies, perform or communicate work in public , make adaptations, translations, selling or rental rights in respect of different categories of work. Term of copyright in published literary , dramatic, musical and artistic works is lifetime of author and sixty years from beginning of calendar year next following year in which author dies. Same is the case of cinematographic film and sound recording . Multimedia works by their nature are works combining different works, such as text, sound, images, and moving images. It becomes perplexing which provisions should apply to a multimedia work as it may be an amalgamation of distinct works such as sound recording, film,artistic work and literary work or software wherein separate copyrights vest in the author conferring differing rights with respect to a category of work as per Copyright Act. For example, the rights conferred on an author in a literary work differ from those in a cinematographic film. On one hand there is no rental right in a literary work, on the other such a right exists for cinematographic film. In my view,the correct interpretation is that multimedia work is indeed a combination of separate works in which different copyrights vest in author(s).To my mind it cannot in all cases be treated as one work which is only a computer programme itself as certain academicians hold. Where copyright is infringed, owner of copyright is entitled to sue for remedies including injunction, damages, profit of accounts and delivery up of infringing goods. Section 51 states copyright in a work is considered infringed when a person without a license from owner or registrar of copyrights or contravening conditions of a license does anything the exclusive right to do which is the right of the owner as per the Act or permits for profit a place to be used for communication of work to public where such communication constitutes infringement of copyright in the work unless he was not aware and had no reasonable ground to believe such communication will be infringement of copyright. It also amounts to an infringement where a person makes for sale or hire or displays or offers for sale , or distributes for trade or to prejudicially affect the owner of copyright or by way of trade exhibit in public or import into India infringing copies of work( excluding one copy for personal use of importer). As registration is not compulsory , suits for infringement can be filed evenm if plaintiff has secured no registration of the work.. Civil remedies available to owner of copyright are also available to exclusive licensee. Electronic contracts are considered legally valid in most jurisdictions such as India and electronic licensing or assignment is also legally valid. Section 52(a) provides for exceptions to infringement termed as “ Fair dealing”.Fair dealing with literary , dramatic , musicasl or artistic work ( not being a computer program) for purpose of private use, including research , criticism, review, and as per Section 52 (b) for purpose of reporting current events in a newspaper, magazine, or similar periodical, or by broadcasting or cinematographic film or by means of photographs.As per Section 62 of Copyright Act, a suit or civil proceeding will be filed for infringement of copyright in district court having jurisdiction to hear the case. The jurisdiction under CPC will include place of residence where plaintiff resides or carries on business or personally works for gain. Section 63 of the Copyright Act provides the punishment for offence of copyright infringement. Any person who knowingly infringes or abets the infringement of the copyright in a work or any other right conferred by the Act is punishable with imprisonment for a term which shall not be less than six months but which may extend to three years and fine which shall not be less than Rs. 50,000 but may extend to 2 lacs. On second and subsequent conviction imprisonment is for a term not less than one year but which may extend to three years and fine which will not be less than one lac but may extend to 2 lacs. Punishment may be reduced if infringements are not made for commercial gain. As per Section 63 B , knowing use of infringing copy of a computer programme is punishable with imprisonment for term not less than 7 days but may extend to three years and fine not less than Rs. 50,000 but which may extend to Rs. 2lacs. Punishment may be reduced if infringements are not made for profit or gain. Section 69 provides that if an offence is committed by a company then every person who at the time offence was committed was in charge of and responsible for conduct of business of company shall be deemed guilty of such offence and liable for punishment unless if he proves offence was committed without his knowledge or that he exercised due diligence to prevent commission of such offence. One of the most cited lawsuits worldwide for digital copyright infringements is of the Napster Case, whereby the plaintiff was sued by the defendants, for P2P file sharing. In this case, Napster provided software, whereby the user can share media files (MP3 Files) stored in his computer to other user of Napster. Since the filing of the Napster Inc case, the music companies have been seeking USD 1, 00,000 for each copyright-protected song downloaded using Napster.There was a settlement between the parties, whereby Napster had to give a third of all future profits to the settling parties, and Napster Inc. was shut down in 2000. In Sega Enterprises v Maphia , the plaintiff manufactured video games which could only be played on game consoles manufactured by plaintiff. The defendant managed a BBS that enabled users to upload Sega games to his BBS which others could then download. The court took the view that defendant infringed plaintiff’s copyright as it caused or materially contributed to the infringement. In Kelly v Arriba SoftCorp  Leslie Kelly’s copyrighted pictures were displayed by a search engine that not only produced thumbnails but also large size pictures in its search results. This was held by the court to be an unauthorized reproduction of plaintiff’s pictures that directly infringed copyright of the plaintiff. While creating only thumbnails could be justified as fairuse , but downloading from search engine result full size image amounted to an infringement. Recent example of infringement in electronic publishing industry is that of the class action lawsuit against Google and its online library feature , wherein Google settled royalty dispute with authors and publishers of books available in its online library for free access which allowed free downloading which directly infringed their copyrights . In a recent Indian case, Gramaphone company of India vs Super cassette Industries  ltd, the court took the view that plaintiff had infringed the copyright of plaintiff in sound recordings , wherein a remix version of a song was being sold by defendant on the internet or as mobile tune .The court observed that right of a copyright holder in a recording version to sell , give on hire or offer for sale or hire to public or distribute is not curtailed by the format in which it may be sold online. In Eastern Book Company Limited v D. B Modak ,the appellants were engaged in business of printing judgements of the Supreme Court of India through its publication ‘Supreme Court Cases’. These judgements would be copyedited by them to make these more user friendly by putting cross references, inputs, paragraph numbers, formatting and headnotes. Appellants contended that since creation of headnotes required considerable skill, labour and time and expense, the work is an original literary work and the appellants alone had exclusive rights to make hard copies or electronic copies of the publications under Section 14 of the Copyright Act, 1957.It was alleged by the appellant that the respondent had produced a software called Grand Jurix by scanning, copying and reproducing portions of the publication of the Appellant which constituted infringement of copyright as per Section 51 of the Copyright Act.When appellants prayer for interim injunction was rejected by the high court, the matter was appealed to division bench that directed the respondents to sell their software without the headnotes or text of appellants. In contempt petitions filed against respondent for non compliance of this order , the Division bench held that so far the footnotes and headnotes are concerned these are protected by copyright but it did not grant injunction against sale of the copyedited judgements as a whole. Before the Supreme Court, the issues that were considered were what is the standard of originality in the copyedited judgments and what will give such derivative work protection of copyright? Another issue was whether the whole of copyedited judgement deserves protection of copyright or any part thereof such as headnotes? The Supreme court relied on the CCH Canadian ltd vs Law Society of Upper Canada (2004) 1 SCR 339 ( Canada) and observed that derivative work must have some sufficient distinguishable quality or features which the original work does not possess. Only trivial inputs will not satisfy the test of copyright of an author.Novelty or innovation is not the requirement of copyright but it does require minimum degree of creativity. The Court observed that copyedited texts of judgements of appellant deserved protection of copyright and partly allowed the appeals directing that though respondents may sell their CDs with their own editorial content and headnotes during pending of the matter in high court but it can do so without using the footnotes, headnotes, editorial comments and inputs of the appellants . In Microsoft corporation v Yogesh popat, the Delhi High Court dealt with a copyright infringement case and awarded compensation of Rs 23.62 lacs to Microsoft Corporation against M/s Compton Computers Private ltd and its directors for uploading pirated software of Microsoft in computers the company sold after assembling parts . World Copyright Treaty and WPPT are two treaties of WIPO that explain law of anti circumvention and digital rights management. 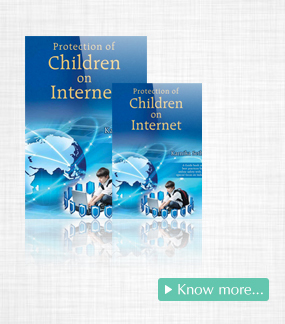 DRM means technologies used by copyright owners to control use of their digital works and restrictions placed thereon. Although India is not a signatory to these treaties it provides for reverse engineering only in certain limited circumstances. In the U.S, Content Scramble System was developed which used encryption to prevent infringement of copyright in films or DVDs. Later, a Norwegian teenager developed De CSS by reverse engineering that enabled DVD users to copy DVD files on the computer.The Digital Millennium Copyright Act was subsequently enacted to provide legal protection measures against circumvention of technical methods adopted by copyright owners to preserve their rights . ( Section 1201 (a) ( 2)of DMCA Act. )It also provides a safe harbor for reverse engineering in case where circumvention is required for interoperability reasons. Section 52 of the Indian Copyright Act as amended by the Copyright Amendment Act 2012 provides the position of law in India as regards fair dealing as a defence and explains circumstances where reverse engineering could be classified as fair use.A fair dealing with any work , not being a computer programme for purposes of private or personal use, including research, criticism or review whether of that work or any other work , reporting of current events and current affairs , including reporting of a lecture delivered in public is not an infringement of the work. Explanation to Section 52 (a) provides that storing of any work in electronic medium for purposes mentioned in the said clause including incidental storage which is not itself an infringing copy will not constitute infringement. This justifies as to why cache would be put under fair use. Section 52 (aa) provides making of copies or adaptation of computer programme by lawful possessor of copy to use computer programme for purpose it was supplied or for maintaining back up. Section 52(ab) allows doing of acts necessary for achieving interoperability with other programmes if such information is not readily available . Section 52 (ac) states it is fair dealing to test functioning of a computer programme to determine principles that underlie elements of the programme while performing such acts necessary for which role programme was supplied , As per Section 52 (ad) making of copies or adaptation of computer programme from a legal copy for non commercial personal use is also fair use. An important insertion that protects internet service providers under fair dealing exceptions is explained in Section 52(1)(b) ,that is , the transient or incidental storage of a work or performance purely in technical process of electronic transmission or communication to the public. It is pertinent to note that Section 52(1) (c) provides transient or incidental storage of a work or performance for purpose of providing electronic links , access or integration where such links, access or integration is not been expressly prohibited by the right holder , is also fair use unless the person was aware or had reasonable ground to believe such storage is of an infringing copy . The Section has a proviso whereby when a person storing copy receives a complaint from copyright owner complaining such incidental or transient storage is an infringement , such person ought to deactivate access for a period of 21 days or till such time as competent court orders . 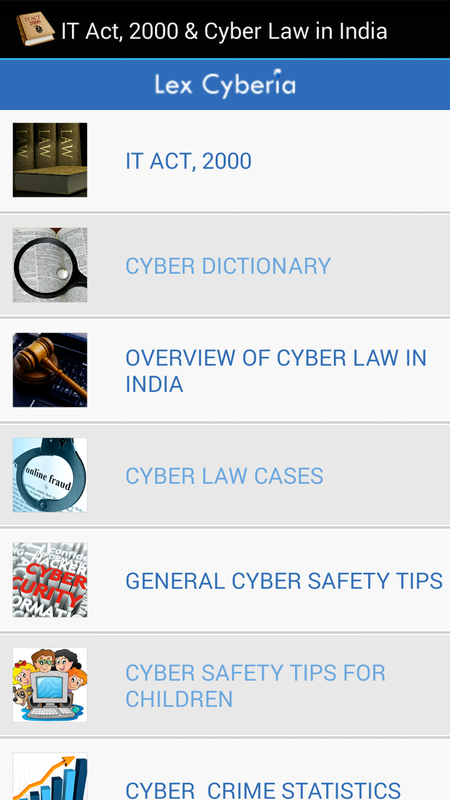 Further,in order to protect technological measures employed by authors to protect their rights, Section 65A has been introduced by copyright Amendment Act 2012 which provides that if any person circumvents such technological method with intention to infringing rights , he shall be punished with imprisonment which may extend to two years and shall also be liable to fine.There are certain exclusions in this Section such as conducting lawful investigation, security check with authorization from owner,operator, for encryption research using lawful copy, for identification or surveillance of a user, and for acts done to protect national security. Section 65B introduced by Copyright amendment Act 2012 further provides that any person who knowingly removes or alters any rights management information without authority or distributes , imports for distribution , broadcasts or communicates to public without authority copies of any work or performance knowing that electronic rights management information has been removed or altered without authority shall be punishable with imprisonment which may extend to two years and shall also be liable to fine. Civil remedies are also available incase rights management information has been tampered with . 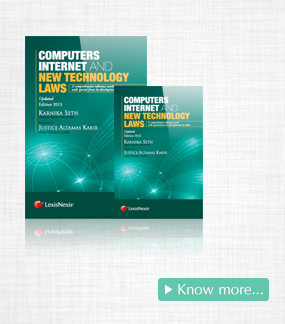 These provisions are of immense value to electronic publishing industry, gaming industry where authors are using DRMs to protect reverse engineering or circumvention of technological measures they opt to protect their copyrights from infringement. Some known techniques in use are namely, encryption, electronic signature, or digital watermarking or pay per view system, electronic software distribution. In Syed Asifuddin and ors v TheState of Andhra Pradesh & Anr , the Tata indicom employees were arrested on charges of hacking a computer source code under Section 65 of the IT Act,2000 for altering the electronic 32 bit number (ESN) programmed into cellphones that were to be exclusively used only on Reliance infocomm’s service network.The court observed that such tampering of code is punishable offence under Section 65 of IT Act. The court observed that in view of Section 2(o),(ffc) section 13 and 14 computer programme is a literary work protected by copyright and as per Section 63 any infringement of computer programme is punishable. However , the court observed that this issue will be decided by the trial court after evidence is led before trial court. I am of the view that such tampering will not be considered fair use under Section52 of copyright Act 1957 as it was not reverse engineered for any of exceptions mentioned in Section 65A of the Copyright Amendment Act,2012. With the passage of the Copyright Amendment Act, 2012 the copyright regime in India strengthens statutory protection available to authors to safeguard their rights both in offline and online world. At the same time it explains the fair dealing exceptions to copyright with much lucidity. New hybrid digital works such as multimedia will bring forth newer issues as technology develops and new laws or clarification of existing laws will be required to address new issues in protection of copyrights in the dynamic digital world. Ibcos Computer v Barclays 1994 FSR 275. See Section 2(ff) includes online communication or communication using electronic means. See section 13 of copyright Act and see 2(ff) substituted definition of ‘communication to public’ which includes electronic communication.thus rights conferred by copyright on author of a work apply equally in offline and online versions. The Copyright Amendment Act, 2012 inserted in Section 14 © , incase of artistic work , to reproduce would a;lso include storing of work in any medium by electronic or other means. Similar inclusion was made in respect of cinematographic films in Section 14(d). Section 55(1) of copyright Act, 1957. Like a company, a firm is also liable under Section 69 of copyright Act- J.N Bagga v All India Reporter ltd AIR 1969 Bom 02. 2005 (118)DLT 580, followed in Adobe Systems inc v K.Khanna 2009 (5) AS ( Delhi) 954. Article 11 and 12of WCT and Article 18 and 19 of WPPT protects authors that employ technological means to protect copyright in their works and prohibit unauthorized tampering or distribution or infringement by circumvention of technological measures .